Anti Christ malayalam movie directed by Lijo Pellissery will have Prithviraj in lead. Lijo, riding high on the success of Amen is all set to venture into the new project 'Anti Christ' ahead of 'Disco' which has been postponed due to the incompletion of the script. Scripted by P F Mathews, Anti Christ would start rolling very soon. 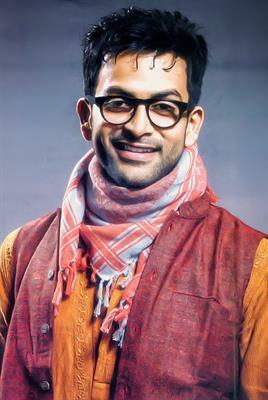 Prithviraj had worked with Lijo for the movie City of God. Lijo Pellissery who is riding high after the path breaking success of Amen has been receiving a number of offers, even from bollywood too. Even though Lijo started his journey with Nayakan and later City of God, he had to wait a couple more years to get the reward for his effort. The innovative style of treatment given to 'Amen', really attracted the audience which was reflected at the box office too. It is also credited as the first commercial success of Lijo. The movie which was creamed with slapstick comedies and folk influences made it a box office hit. Much before the release of 'Amen' Lijo had announced his next project with Indrajith in lead. But now it is known that the project 'Disco' is shelved for a short period till the completion of the script. 'Disco' is now paying way to 'Anti Christ' which would have Prithviraj in lead. Scripted by P F Mathews, Anti Christ would start rolling after the return of Prithviraj who is in England for the shooting of London Bridge. Prithviraj had worked with Lijo for the movie City of God. The movie got positive response for its making but was not enough to cash it. With Amen winning the hearts of the viewers, Lijo even succeeded to get the dates of Prithviraj too. Rest of the cast is expected to get announced soon. Prithviraj who has completed the works of Jeethu Joseph's Memories will be seen in Dr. Biju's Painting Life and tamil project Kaaviya Thalaivan directed by Vasanthabalan. Painting Life would also be the reunion of Priyamani after the duo shared the screen space for Satyam, Thirakatha and Puthiya Mukham. The movie which is said to be an adventurous journey pools into the life of a film crew consisting of five members who get trapped in a village. The endurance of the crew to get back to life makes the rest of the movie.